Windows 10 Privacy, it seems like a never ending story that just won't get away. France's National Data Protection Commission (CNIL) served Microsoft with a formal notice on July 20, 2016 asking the company to comply with the French Data Protection Act within three months. The claim? Microsoft's Windows 10 operating system is used for "collecting excessive data and tracking browsing by users without their consent". Additionally, the commission wants Microsoft to "ensure the security and confidentiality of user data". Irrelevant or excessive data collected: CNIL states in its report that Microsoft is collecting data during operation that is not required "for the operation of the service". Microsoft collects Windows app and Windows Store usage data for instance, and there apps installed and time spend in apps. According to CNIL, this is not required for operation of the operating system. Lack of Security: Windows 10 users who enable PIN protection may set a four digit PIN that is then used for authentication. 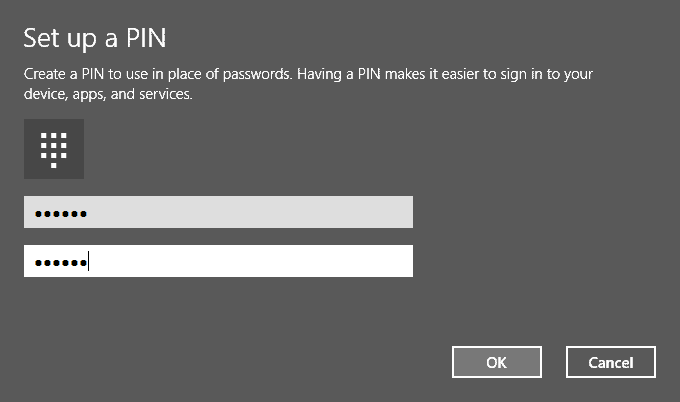 This PIN provides access to the operating system including Windows Store account data. The operating system does not limit the number of attempts to enter the PIN. Lack of individual consent: Windows 10 enables an advertising ID by default when the operating system is installed that may be used by apps, third-parties and Microsoft to "monitor user browsing and to offer targeted advertising without obtaining users' consent". Lack of information and no option to block cookies: Microsoft places advertising cookies on users' "terminals" without "properly informing them of this in advance or enabling them to oppose this". Data still being transferred outside EU on a "safe harbor" basis: Personal data is transfered to the United States on a "safe harbor" basis, but this should not be the case since "the decision issued by the Court of Justice of the European Union on 6th October 2015". CNIL gives Microsoft a three month period to work on the issues identified by the commission. Failure to comply might lead to sanctions against Microsoft. Some findings of the commission are puzzling or require explanation. The commission states that users may set up a four-digit PIN for easier access to Windows, and while technically correct, users may select a PIN with more digits as well. While Microsoft could highlight the fact that selecting a shorter PIN code makes it easier for attackers to get in using brute force, I cannot really see the company at fault here. The advertising ID is enabled by default, but only if users don't select the custom installation options when presented to them. One could argue that this should be opt-in and not opt-out, or that Microsoft should display the options on first launch to give users a chance to modify them, but is is quite common on the Internet and in software that things like these are opt-out. Now You: What's your take on the commission's findings? France's CNIL served Microsoft with a formal notice on July 20, 2016 asking the company to comply with the French Data Protection Act within three months. To be fair i don’t see the “without their consent” bit holding much water, after all anyone whose installed Windows 10 agreed to the EULA and gave consent for Microsoft to do anything and collect anything they want, when you install Windows 10 you’re basically engaging in an extreme act of self-deprecation. It comes down to state/federal/national and other laws (eg EU/international agreements etc). The woman who was paid out, for example, was only able to sue due to state law (California I think)? Just because something is in an agreement doesn’t make it legal. There’s a difference between binding and legal. What if deep in the EULA was a clause that said you had to murder one person, anyone. Doesn’t make the murder legal! There are other precedents and common law (I think I’ve used the right term – also torts spring to mind), such as misleading – eg trickery to obtain consent, or even enforced consent – eg a contract signed with a gun to your head cannot be enforced (but you may need to prove it). The opt-out settings when they should be opt-in have always been the little secret of a blend of business (default values are inquisitive) and Western world obligations (commitment not always) to freedom within democracy. This is in particular the root of American culture in its tie to Elder brother, UK. Both countries have this deeply anchored in thie way of proceeding with a special flavor for special services, smart-clever-intelligent. The CNIL points out facts as they appear — by default — to a new user. Since Microsoft is American and not Slavonic, there is — most of the time — an opt-out : “find it or you don’t deserve it” as an implicit imperative. Of course Windows 10 is a pot of collected users’ data. We all know that by now. Many users don’t care, or have surrendered. It’s up to each of us to choose but one thing is sure : many users will have become aware that there are other OSs than Windows. It is good IMO that the CNIL participates to this awareness by bringing the problematic to the front stage : I heard their intervention this morning on the radio. Oh yeah : I feel America as a brother. You can disagree with a brother and agree with a foreigner. What I do not understand is that Google already do all this with Android and possibly ChromeBook. No doubt Apple do also to an extent. Why are these companies not being asked to explain why? Seems like Microsoft is being picked on as new OS with many changes implemented and so in news lots. I think it is more of an “in your face” thing. It is a lot harder to find out what is happening on a smartphone than on a desktop operating system. That, and that the majority of phone users are apathetic when it comes to privacy on phones. Also, Microsoft has traditionally be a target for these practices. Android phones are optional. Same with iPhones and Windows Phones. Flip phones can still be purchased and function just as well for what people would need a cellphone for. So selecting an Android Phone is optional. Windows, however, is a core-essential to many businesses, and personal uses. From general use with easy GUI, to Gaming to Business software. I’m surprised Microsoft hasn’t gotten in trouble for the “adverts” to upgrade to Windows 10, since going by the options on the screen, it sorta tricks you into upgrading later or now. Not “not at all”. Some people don’t know that they could just hit the X in the corner to exit out of it. This is very deceatful as most of their customers are not that computer savey. Just enough to do what THEY need/want to do. I agree with Martin when it comes to the very device’s specificity. Yet other companies perform users’ data collection on PCs and to mention Google, well, I guess there is not only what you do but the way you do it. Doesn’t mean one company is more committed to ethics than the other but that its behavior is perceived differently. When Microsoft is perceived aggressive Google is perceived tricky, when Microsoft is perceived as frowning Google is perceived as smiling. Both collect data but Google does it with a smile. Another point is what you get for the price of privacy : Google services are excellent, presented simply to ordinary users… Microsoft products encounter many issues, Windows 10 as he ultimate. That’s life : if you’re seduced by a smiling crook who makes love as a god or by a raper who fails even within his enforcement, you just won’t have the same feelings, before, while and after. To put it simply, Google is pepsi, not coca, Google is smart as a Democrat and not square as a Republican. Doesn’t mean they are more honest, means only they are “cooler”. That’s the way I see things. I don’t know abour Apple, but the ad hoc European Commissioner (Mrs Vestager) is continuously pinching Google , as was her predecessor (mrs Kroes) for years. Google already had to pay billions of euros in fines, yet the commission is way too soft with them. It was actually from the same commission that I would have expected a similar reaction regarding Microsoft, more than a year ago : this French push is only covering french people, not the other europeans… And it comes remarkably late as well… But at least, something is finally happening, and it is to be hoped that it sets a precedent that many other countries should follow. @Neil, If i had to guess I’d say it could be because Google (Android, ChromeBook) and Apple’s MacOS aren’t installed on many desktop computers, you don’t find Android or MacOS being used by accountants, doctors, hospitals, police forces, tax offices, banks, and other companies that have to take the privacy of their customer seriously. Also Apple and Google probably get just as much ire from regulators, Google was fined $112,000 by the French regulator in March, $22.5m fine to FTC in 2012, $17 Million in 2012, in fact if you want a rap sheet i found this PDF that lists some privacy related infraction from Google dating back to 2002. Without looking i dare say Apple has faced similar slaps on the wrist from regulators. They’ve done the similar investigations with Facebook and Google before, this just happens to be Windows 10’s time. I agree though, I would like to see them carry out more in-depth investigations across the board and into mobile phones in particular, as the amount of data that can be gathered from phones it truly frightening. Especially with so many apps requiring you to give them access to pretty much anything on the device, including GPS, which essentially turns phones into real-time tracking devices in the hands of private companies. The points CNIL made seem like pretty reasonable requests to me and ones that seem to be relatively minor for Microsoft to implement. Personally I’m think more countries should be carry out investigations like CNIL and provide an overwatch to protect consumers. You’re right, not only should Microsoft be held accountable but also every other company that is engaging in spying. People are upset that governments are spying, why are they not upset that private, for-profit corporations are spying and downloading data without any oversight whatsoever? Even if their is no selfish or malicious intent by these companies what happens when criminals or criminal regimes get access to your data? Or what happens if you are a business and your competitors get all your data? Lastly, what about hackers stealing your data from the “cloud” such as the infamous Fappening. Companies don’t want to secure their software or fully encrypt because it would close all the backdoors and expose their spying. The backdoors are being used by hackers. 1) Microsoft from the beginning and in its EULA says what is done. Settings can limit what is sent. I’m not sure that’s the case on Android or Apple devices. 2) Windows 10 was released a year ago, and Microsoft is already worried. There is another side several complaints against Google for years (abuse of dominant position and others) and whose conclusions are constantly pushed. Again, I am not trying to defend MS but it’s weird, and I’m French, I know the CNIL and I also know that in France, typing MS is a national sport. You’re trying to be fair, that’s fine (dear compatriot!). Microsoft is worried about its markets and I doubt the CNIL’s warnings will change anything directly but it may trigger a wider reaction at higher levels, EU to start with. I’d hope with many others that the EU be sensible to Microsoft’s practices, policies as it has been by the past and as it could now with Windows 10. But we know that world companies pay the fines, pay their lobbies and manage with time to circumvent all forms of obligations. Like fiscal paradises that continue whatever the exclamations, a world-wide commitment seems to be the only path, but that will take time, if it ever deploys. Oui j’essaie de l’être (honnête) cher compatriote ;). Je trouve que le zèle de la CNIL, tout comme celui de la commission qui suivra, à n’en pas douter, est suspect par rapport à toutes les plaintes contre Google qui semblent ne jamais aboutir. Oui il faut remettre Microsoft à sa place, mais il faudrait aller fouiner un peu chez les autres aussi et avec le même zèle, sinon plus d’ailleurs. Le pire dans cette histoire-là, c’est que si Microsoft n’avait pas mis en avant ces options (activées par défaut, je le concède), si les choses n’avaient pas été clairement explicitées dans les CGU, je suis presque certain que 1) il n’y aurait pas eu autant de tollés de la part des geeks, et ensuite du public, et que 2) la CNIL ou autre n’aurait rien dit. Sorry for the other commentators. Nerdebeu, je ne suis pas certain de vous suivre. Si vous sous-entendez une quelconque complaisance à l’endroit de Google vous savez comme moi que cette dernière a fait l’objet voici peu d’une perquisition en bonne et due forme, certes dans un contexte fiscal et certes non initiée par la CNIL, mais enfin l’esprit de la CNIL ne doit pas être en contradiction, j’imagine, avec celui des ministères. Je pense que toute démarche ne peut que s’appuyer sur une base humaine et légale et que si Google passe à travers les gouttes de l’opiniâtreté de la CNIL c’est qu’il n’y a rien de légalement substantiel, de manifestement attaquable juridiquement sur sa politique de respect de la vie privée, pour l’instant en tous les cas. Vous savez comme moi la différence entre un courroux de café du commerce et la matière minimum requise pour une plainte, voire pour un enjoint. C’est complexe. Quant aux conséquences d’une soi-disante transparence des politiques de Microsoft, il me semble que c’est la moindre des choses, que l’assimiler à une vertu laquelle se retournerait contre l’entreprise n’est au mieux que le raisonnement de lobbyiste, enfin que ce n’est pas, me semble-t-il, leur lecture assidue qui aura amené tant d’utilisateurs, d’entreprises, d’associations à réagir contre les faits, les faits qui parlent mieux que je ne sais quel EULA. @ Tom Hawack, non justement, c’est bien là où le bas blesse. Les plaintes contre Google sont bien actées, elles sont depuis longtemps considérées comme valides, et encore pas plus tard qu’il y a quelques petites semaines, le verdict a encore été repoussé. Il y a réellement un deux poids deux mesures et la CNIL elle-même avait été une des premières à s’emparer du dossier Google, et même avait été mandatée, au nom de toutes les CNIL européennes à cette fin. En ce qui concerne Google, c’est un peu :”il est urgent d’attendre” et ce qui est d’autant plus drôle, si j’ose dire, c’est que Google, lui, change ses CGU tous les quatre matins (3 ou quatre fois depuis 2012), ou si elles ne sont pas changées, elles sont amendées, et non de par la volonté des CNIL, mais du seul fait du prince. Le perquisition contre Google n’a rien à voir du tout, elle émane du fisc, et connaissant la situation budgétaire française, il n’y a absolument pas à aller chercher plus loin, et en plus c’est bien légitime, Microsoft s’est fait redresser il y a peu, et ce n’est que justice aussi. En ce qui concerne les CGU annoncées par Microsoft, elles ne dédouanent la firme en aucun cas, mais dès l’instant où elles ont été explicitées, dès cet instant là, je vous renvoie à toutes la presse de l’époque, il y a eu tollé général et ensuite, les utilisateurs avancés sont allés plus loin pour voir ce qui était envoyé, avec parfois même de l’intox, à tout le moins, sinon du FUD. Exemple, MS se réservait le droit de supprimer le contenu des disques durs du PC des utilisateurs qui pirataient… Non, seulement de bloquer SES propres jeux piratés. Il y a eu les EULA épluchées et il y a eu le fait aussi, ne l’oubliez pas, que ce sont des millions de testeurs qui ont eu en avant première toutes les options de confidentialité sous les yeux et qui en ont fait écho avant même la sortie de l’OS. – C’est le fait qu’une configuration par défaut lors de l’installation soit plein écran et vous fasse entériner tous les traçages si acceptée, et qu’il faille bien chercher là où sont les paramétrages permettant d’alléger le suivi. – C’est également le forcing pour vous faire configurer un compte MS et le fait qu’il faille fouiller pour avoir un compte local, ce que je trouve inadmissible, et pourtant je suis en compte MS ! – C’est aussi de mettre en avant ses propres applications de manière outrancières lors d’une installation. Sur une installation propre et vierge, cela peut se concevoir, mais sur une mise à jour d’un autre OS avec ses propres logiciels déjà présent, ça n’a pas à être le cas. Il y a tout un tas de choses à reprocher à Microsoft en général, à cet OS en particulier, mais sans crier à l’injustice, on peut clairement voir qu’il y a quelque chose qui cloche. Pourquoi certains points que je cite ne sont même pas critiqués, alors que d’autres, du seul fait de l’utilisateur, peuvent être modifiés ? Sorry, Do not hit me! Nerdebeu, j’entends bien votre raisonnement comme j’entends tenter, pareillement, d’éviter un parti-pris. Une lecture rapide pourrait laisser croire que j’accable l’un tout en dédouanant l’autre alors qu’il n’en est rien. Manifestement vous êtes davantage documenté que moi. Démuni d’un dossier qui aurait été alimenté ne serait-ce que d’un suivi profane des affaires nous intéressant je me serai borné à étaler quelques principes généraux en phase avec une logique sommaire. Je prends acte de vos références. Je vous cite quand vous évoquez ” c’est un peu :”il est urgent d’attendre” pour illustrer ce que vous interprétez comme une politique laxiste à l’endroit d’une entreprise laquelle bénéficierait de soutiens en haut-lieu. Je veux bien vous croire mais admettez que tel quel soit vous en dites trop soit pas assez. Je ne doute pas de votre sincérité mais il me manque des pièces pour envisager le puzzle. Loin de tout cynisme, comme vous je conçois la réalité des politiques des deux entreprises, comme vous je tente de contenir l’agacement d’un Microsoft tout à son aise d’user de son bon vouloir davantage que d’un dialogue clair, équitable, mais au final je ne suis pas à même, faute d’éléments, de corroborer ce qui serait une volonté des sommets voire de celui, suprême, de balader ou laisser se promener des rapports aux fins de les occulter. Je ne vous contredit pas tant j’ignore tant. Sorry again to all non French-speaking readers. On another hand those should have chosen French Language & Literature when they had the opportunity :) I know, this is an English speaking blog so please be certain there will is no theater play on its way! @Tom Hawack: Just one question: what is un enjoint? @ A different Martin, willingly or not you’ve hit what does seem to be my mistake. Good opportunity for me to get it corrected, after so many years. Indeed “enjoint” seems to the wrong terminology, a word maybe I’ve picked up somewhere and never corrected because always understood by others. By “enjoint” I meant and should have written “injonction” (which is served by the verb “enjoindre” therefor maybe my squeezed word). An “injonction” is I believe an “injunction” in English, that is a court order. I’m not a jurist, even less in English (if that makes any sense). But I guess you get the idea. Geeks & techies know what they are doing when they turn Windows privacy options on and off, and if they are unclear on the effects, they delve in and find out. The rest of us (like me) just want Windows defaults to be set to protect our privacy, and we can then choose to unprotect ourselves if we want to. I’m a US citizen and I despise that Windows is almost totally a software that requires the user to opt-out to achieve privacy. I believe that the Europeans have it right. U.S. businesses have way too much power over government decisions. It was going to happen sooner or later. We simply cannot allow big business to continue collecting our data and eroding our privacy. That is why we have watchdog agencies. I’d bet the CNIL is just the first in a long line of organizations that are going to get on Microsoft’s case. They’ve previously done the same with Facebook and Google too. Personally I’m think more countries should be carry out investigations like CNIL and provide an overwatch to protect consumers. Vous pensez ainsi que la CNIL se bornerait à prendre le train en marche. Ma foi peut-être somme toute préférable à ne pas le prendre du tout. Je n’en ferai pas une affaire de personne et au final peu m’importe la vertu des pionniers quand ce qui m’intéresse avant tout c’est l’efficacité d’une démarche ; si celle de la CNIL peut ne serait-ce que participer à une prise de conscience alors tant mieux. La dénonciation d’une politique des couloirs du palais ou de ses anti-chambres, impliquée ou non, ne me plaît pas par définition tant j’en ignore les tenants et aboutissants mais aussi parce que cette approche typiquement française dilue bien souvent une problématique dans les envolées lyriques d’une démagogie faite souveraine. Souvent, trop souvent, mais pas toujours. J’en resterai au vécu d’un utilisateur lambda confronté à l’univers des inquisiteurs de tous poils. Après le constat vient le temps de l’analyse, soit, mais ce temps là permet bien trop d’interprétations. Des actes en oubliant le temps de l’action le doigt accusateur me semble être une option valide. Ceux qui aujourd’hui dans les hautes sphères à propos de Microsoft font, par force, la Sainte-Nitouche, comme Madame la Présidente (de la CNIL), sont les mêmes qui depuis des années et des années refusent les logiciels libres dans les administrations, pire dans les écoles, signent et resignent les contrats de partenariats avec les entreprises qu’elles dénoncent, appauvrissant l’état, pire rendant vulnérables nos enfants en les livrant à la duplicité de ces multinationales, d’où la tentation d’y voir en toute logique des conflits d’intérêts majeurs, affaiblissant la démocratie, augmentant les rancœurs des citoyens éclairés. Pour les faits qui nous occupent présentement, le VIOL supposé ou avéré de la vie privée des gens, il suffirait d’autoriser les Class Actions comme aux USA et laisser faire la justice indépendante qui trancherait suivant NOS lois, mais là que nenni ! La France, le pays des Hauts Fonctionnaires qui gouvernent en lieu et place des élus de tous niveaux, le pays des commissions, des commissions d’enquêtes, des rapports… comme nous enterrés. Un pays qui désormais avec ce genre de totale hypocrisie a perdu, pour le moins et si tant est qu’il en avait jamais eu, sa crédibilité à la face du Monde. @ yapadkoi: What you said, with one small correction: since 2011, a pro-business/anti-consumer majority of the US Supreme Court has allowed businesses to mandate individual arbitration in contracts of adhesion (like EULAs), effectively giving businesses the power to bar both individual and class-action lawsuits by consumers. To my knowledge, Microsoft now includes such a clause in all of its EULAs. The Californian travel agent who successfully sued Microsoft for $10,000 in small claims court (for borking her computer with an unwanted Windows 10 upgrade) seems to have grounded her claim in tort (responsabilité civile délictuelle), not contract. I feel fairly confident the reason Microsoft decided to drop its appeal is because it didn’t want to risk establishing a recognized precedent (which small claims judgments are not); it almost certainly was not because of the cost of the appeal, as Microsoft claimed. Windows 10 should be banned immediately if France has these concerns. What Microsoft is doing is both unethical and illegal. Our own government allows this to continue because it benefits them immensely. I could say similar about other OSes and online services but this is an article specifically about Windows 10. Even on the internet this should not be accepted, but worse : this is an OS mainly for Desktop functions. this is an OS mainly for Desktop functions, like taxes, banking, diary, safe keep of all your personal data and so much more. I Do care about my privacy, and I have my phone separated from PC , console. Don’t use spyware like Facebook “coz everybody else does” No I do have a mind of my own and yes I can avoid tracking for a great deal. But When you use W10, you are prone to the arbitrariness and whims of Microsoft. Perhaps it’s not because you mention that somebody — let’s put is as a common feature : many people — jump of the train that you are inciting to do it as well. I often notice, everywhere, this trend to mistake our interpretation of what is written or said with an objective lecture or listening. I believe we all here are concerned by our privacy but when you relate facts perhaps is it more than ever required to remain as objective as possible, explicitly and implicitly. If the author of the article had not mentioned “[…]it is quite common on the Internet and in software that things like these are opt-out” anyone could have pointed an accusation of implicitly devaluing a product when presenting a feature as unworthy but moreover specific to the product when in fact the feature is common to many other products. You see what I mean? ann, no one said, explicitly or implicitly that is was the right thing to do! So another solution: in my country Windows 10 and its futur ugly clones should be treated like a VIRUS, or at least like a new drug or children’s toys. Authorized on our market only after being checked by independent and reliable experts, on the unique condition that they can access to all hidden codes. Authorized only after overthrowing the espionnage and data theft by design. But its too late, Windows 10 is already a Watergate Worldwide Scandal. If I agree with critics about Windows 10, I have on another hand to disagree with a radical approach of life which includes it all. One cannot, IMO, consider the world in this binary reductionist manner which is to split it as vice and virtue, good and bad, heaven and hell. With such a mentality we would still be at the stone age. Progress has its lot of mistakes but it’s in humanity’s nature to advance, and advancing means its cohort of mistakes (let’s call them “mistakes”). No revolution which have always been, are and always will be a concentration of demagogy versus the world’s pluralism and humanism; rather re-directed energies, and that is up to each of us to introspect ourselves and act or not consequently. But deciding what is good and what is bad for others than for ourselves is a dangerous path. I’d prefer to conceive a re-directed Windows 10 rather than condemning it de facto. We are free not to use Windows 10, there is no World Government forbidding other OSs, compelling the planet Earth’s inhabitants to use Windows 10. From there on, yes it’s mighty and honorable to share what we discover (or believe to), bad and good as we perceive it. But going further is what I’d call a simplistic coercive vision of society. Populism. Une société démocratique ne peut fonctionner qu’à condition que chacun respecte ses lois. Microsoft après toutes les critiques dès sa sortie savait pertinemment que Windows 10 ne respecterait pas les normes de l’Union Européenne, encore moins celle de la France particulièrement en matière de confidentialité, quant à la conception elle-même elle ne fait qu’empirer la donne. Le principe de précaution récemment adjoint à notre Constitution aurait dû inciter nos dirigeants à plus de prudence et faire mettre en conformité un outil aussi sensible qu’un OS en amont. Si l’on rajoute à ça l’évasion fiscale organisée de ce genre de multinationale, qui préfèrent parler d’optimisation et non pas d’évasion, le bénéfice du doute n’est plus de mise, si tout le monde faisait pareil ce serait bien la vie de la démocratie qui serait en jeu. Si “Populism” veut dire que j’exagère, demandez donc aux Indiens ce qu’ils en pensent de votre progressisme, votre modernisme aveugle mon cher “Tomawak”. @yapadkoi, nous pourrions disserter à loisir sur un thème général qui se sera imposé à partir du cas particulier de la CNIL face à Windows 10. Je vous lis avec attention et intérêt. Je ne pense pas que vous soyez animé d’une pensée populiste même si tout discours teinté de radicalisme me hérisse tant je crois dans l’idée de réforme plutôt que dans celle de chambardement. Ce n’est pas là croyez-le bien une attitude opportuniste. Nous divergeons à-priori sur quelques points mais peut-être qu’un dialogue approfondi verrait surgir bien des similitudes dans nos quêtes voire dans les moyens de les faire avancer. Je vous souhaite une excellent suite en espérant vous relire très bientôt. Tous les thèmes, toutes les infos ne prêtent pas le flanc aux approches sociétales de tout un chacun. Peut-être aurons-nous ici l’occasion d’échanger sur des sujets moins exposés. Microsoft needs to be held accountable. They need to provide a document explaining every byte that they are sending out of any computer that has their software installed. Plain and simple. The same needs to be done for data being received by each system. Furthermore, unless the transmission of each of those bytes is essential to the operating system, Microsoft must fully disclose how to prevent such transmissions. This document might be good for techies but for the rest of us I would bet money that MS ‘s explanations would be such that we would not understand the implications. If they would just make their software no-privacy options opt-in then we could be much happier. Never will happen. Merci de votre intérêt à la chose humaine et à bientôt de vous lire. Vous vous donnez bien du mal pour prêcher un converti, yapadkoi. Je sais ce que vous étalez fort diligemment, espérons que cela serve à ceux qui ont une foi imperturbable en Microsoft. Je ne suis pas de ceux-là, je veux croire que vous l’aurez compris. Quitte à redémarrer la boucle je vous rappelle que je m’insurge autant contre les pratiques d’une entreprise et de bien d’autres que je ne fais pas mienne quelque solution que ce soit qui envisage de noyer l’enfant avec l’eau du bain. Microsoft a dépassé les bornes avec Windows 10, je me tue à le répéter, à l’expliciter mais en même temps il s’agit de raison garder en écartant les remèdes exotiques du genre “interdire Windows 10”, d’abord parce que cette hargne de café du commerce ne saurait être en phase avec la réalité des possibilités, et juridiques et techniques, ensuite parce qu’il s’agit d’oeuvrer pour un changement de cap en décrivant, en décriant en l’occurrence les travers d’un OS et participer ainsi à un courant qui peut devenir une déferlante si l’on s’y consacre. Réformer, réformer par convictions, par détermination, mais ne pas s’abandonner à la création d’un mur de plus. Loin de moi était l’idée de vous convaincre Tom, je vous lis depuis longtemps, je connais en grande partie votre fil conducteur. C’est la première fois que je livrais ma pensée sur ce sujet qui me fait vomir, la raison pour laquelle j’ai pu vous paraître excessif par moments. Ma pensée se dirigeait plutôt à l’oreille de “Madame la Présidente”, espérant lui faire comprendre que mes propres vociférations valaient autant que les siennes, à la différence près que les miennes ne trompent personne. Merci également à Martin.B qui m’a permis de l’exprimer. Et pour terminer, c’est si drôle j’ai pas pû m’en empêcher, désolé Martin pour ce double post. Critiques: Elle fut nominée en 2007 au “Big Brother Awards” pour « sa collaboration déterminée à l’évitement de toute évaluation scientifique et contradictoire de l’utilisation du vote électronique en France, et notamment, courant 2007, des machines à voter ». Pour obtenir que vous répondiez avec une réelle conviction Mr Heiner, obtenir une mise en conformité sans concessions, pour cela il faudrait déjà qu’on vous le fasse comprendre avec conviction… n’est-ce pas Madame la Présidente !!! La vraie raison du je-m’en-foutisme affiché de ce David Heiner la voilà : c’est Madame la Présidente (de la CNIL) : Si j’en crois sur Wikipedia et ailleurs les critiques à son encontre, et tout porte à croire qu’elles sont vraies, vouloir cumuler les responsabilités sur un même sujet en se maintenant à tout prix à la tête d’une institution après avoir changé ses status…, vouloir imposer des machines à voter dont il a été prouvé dans bien des cas qu’elles facilitent la fraude (machines à ce jour refusées par la majorité parlementaire…), nul doute qu’elle agit de la sorte pour le compte d’une (ou des) entreprise(s) privée(s), ou d’un (ou plusieurs) parti(s) politique(s) (à propos du même soupçon de corruption et les bons comptes faisant les bons amis, nul étonnement de trouver comme Président “Microsoft France” un député du Parti Socialiste..). Voilà bien là un exemple parfait de conflit d’intérêt gravissime, qui révélé au grand jour fait monter partout les populismes (dont vous suggériez plus haut la nocivité Tom), qui non seulement porte atteinte à la vie privée, mais bien plus grave encore, instillant le doute électoral, etc, constitue une véritable gangrène pour les droits de l’homme et du citoyen. Par conséquent le curriculum vitae de Madame la Présidente (de la CNIL) représente un des plus graves danger que la France ait connu, bien plus que les peccadilles dont elle nous rebat les oreilles. Madame la Présidente (de la CNIL) devrait être suspendue de ses fonctions, sommée de s’expliquer. Puis sans preuves convaincantes du contraire de sa part, renvoyée à ses chères études afin de méditer sur le mélange des genres public/privé, qui consiste trop souvent à spolier l’un pour profiter à l’autre, et le dégoût qu’il inspire.